The XMOS VocalFusion 4-Mic Dev Kit for Amazon AVS offers developers a linear mic array for far-field performance, bringing intelligent voice control to new device types including smart panels, kitchen appliances, and other wall-mounted and close-to-wall electronics. 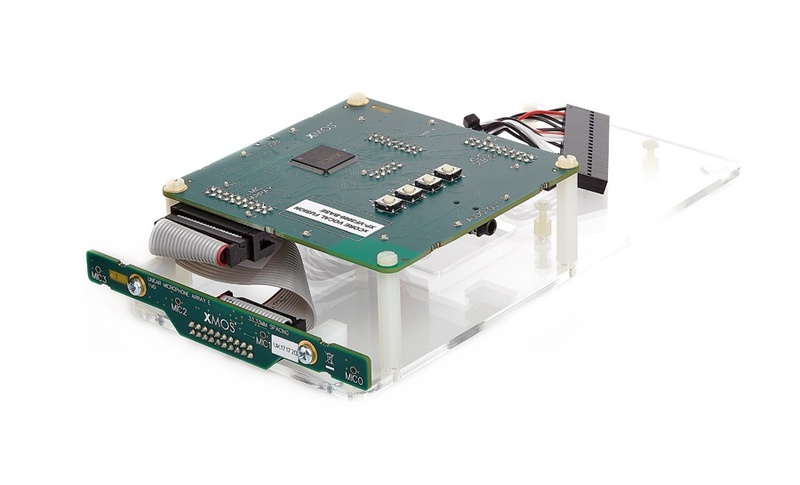 In addition to far-field audio processing capabilities, the kit’s xCORE processor incorporates programmable I/O logic functionality that can reduce design complexity and the electronic bill of materials. 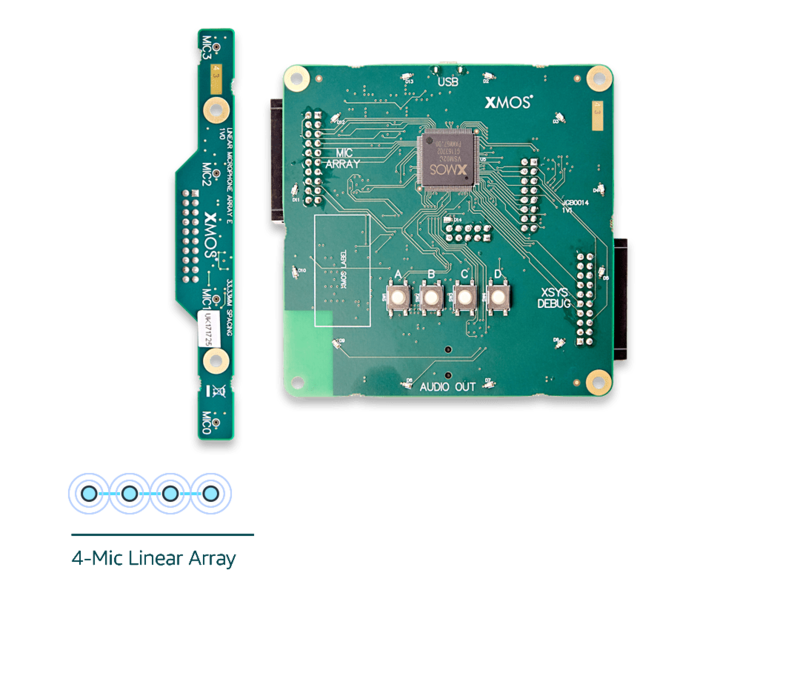 The XMOS VocalFusion 4-Mic Dev Kit for Amazon AVS features a reference client for Raspberry Pi 3 built using the AVS Device SDK, enabling commercial device makers to get to market faster. The development kit comes with a processor board with integrated XVF3000 Voice Processor, DSP and I2S serial audio interface + I2C serial control interface; linear array board with 4 Infineon MEMS mics; xTAG debug adaptor; cables; a stand optimized to hold both boards and a Raspberry Pi Model 3 (sold separately). XMOS VocalFusion 4-Mic Dev Kit for Amazon AVS ($499.00). XMOS dev kit un-boxing and hardware set-up video.